Thai Veedu was produced by Devar Films (C. Dandayudhapani) and directed by R. Thiyagarajan. This was the 4th Tamil movie acted by our superstar under Devar Films banner. It was produced in two languages simultaneously and they are Tamil and Hindi. In Hindi, it was titled as Jeet Hamaari. The Tamil version of Thai Veedu was dubbed in Telugu and it was titled as Kabarthar Raju. Thaai Veedu was released for 1983 Tamil New Year (14.041983) and Jeet Hamaari was released on 17.06.1983. 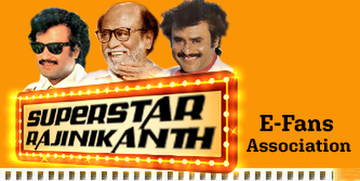 This is the 2nd Hindi film for Rajini sir. At Chennai, it was released at Safire, Vasanthi, Sri Krishna and Kamala. Thai Veedu was a pakka commercial movie and it had all type of ingredients such as fights, comedy, songs, sentiments, etc. You can see a young, youthful and energetic Rajini in this film. This was the last movie Superstar acted under Devar Films and later 5 years Devar son produced Dharmathin Thalaivan under the Dandayudhapani Films banner. The music was different and it was penned by Bappi Lahiri one who was very famous in bollywood during 80's. "Unnai Azhaithathu Pen" was the opening song and it was very rich and the picturization was too good. The song was very big hit. Almost all the songs sung by SPB. Actor Jaishankar did a decenet job in this movie and superstar gave him equal oppurtunity. He has acted as a cop and chases Rajini and those sequences are well picturized and quite interesting. In Hindi version, this role was done by Rakesh Roshan. This film was released exactly a week after the Andha Kanoon. At that period, if you open any papers, you should see at least 3 to 4 Superstar movies running in the city. Payum puli was running at Bala Abirami, Thudikum Karangal was running at Devi Paradise and Andha Kanoon was running at Alankar. After continuous hits like Thai Meethu Sathyiyam, Annai Oar Aalayam, Anbuku Naan Adimai and Ranga, Devar Films hit the collection jackpot through Thaai Veedu too. This was their last film which was hit for Devar Films and the films continously flopped. 1988, Superstar wished to help them and did Dharmathin Thalaivan with them. Thai Veedu was released in City by by Bansi Pictures and they were the leading distributor during 80�s. NSC rights by KR. Apart from above centers, Thai Veedu generally did a very good business throughout Tamil Nadu. In Hindi also it was a 100 days runner. After completion of Thai Veedu, Devar Films decided to produce 3D movie with Rajini and titled as Annai Boomi. But Rajini refused and recommended Vijayakanth. Devar films normally sell their movies only to regular distributors. It is very difficult for the new distributors to buy the movie. During 1981 KR entered into this distribution line and he had released some movies and faced a huge loss. He wanted to manage the loss and he approached Devar Films and requested to give the Thai Veedu movie for NSC area. After much thought, Devar Films accepted and they sold the NSC rights to KR worth of Rs.12 Lakhs which was considered has price during that time. All the other distributors cautioned KR not to raise the distribution price and don�t spoil the market. He convinced that it is very difficult to get Devar Film movies for new distributors and in future it will be sorted out. At last, the film was released and turned out be a hit and he recovered the earlier films loss through our film Thai Veedu. Later he is very confident and distributed two more movies simultaneously and earned very good profits. The movies were Vazhkai and Thambiku Entha Ooru. Film Director R. Thiyagarajan (son-in-law of Devar) gave an exclusive interview with Gemini Cinema weekly and answered the following question..
Reporter: Did you expect the Thai Veedu has become a HIT? Director: Yes, I am so confident in the script. Because of Rajini, it came out in good shape and people also liked the movie. Reporter: Did you expect the same results in Hindi Version? Director: I believe it will give good result. Director R. Thiyagarajan openly accepted that they had a very good rap with Rajini for sometime but due to some unavoidable circumstances they lost their relationship with him. They accepted that they are responsible for this issue and there is no mistake on our Rajini side.